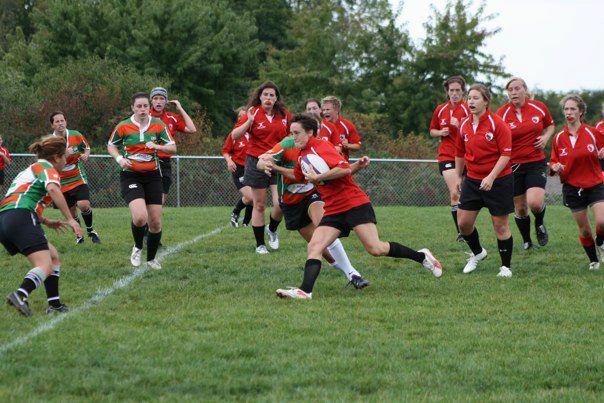 Wisconsin captain and flyhalf Meaghan White on the attack versus the County Will Morrigans. 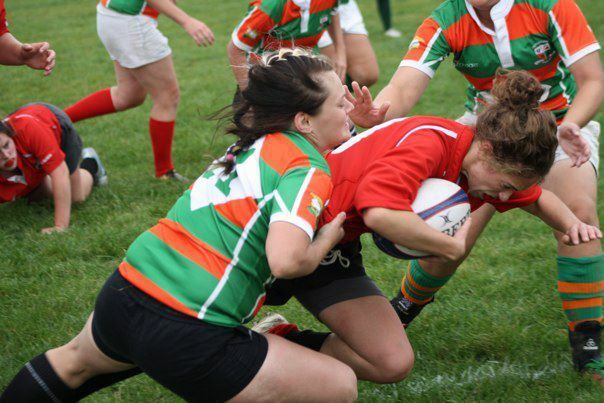 The Wisconsin Women defeated the visiting County Will Morrigans, 29-12, and the Oconomowoc Women, 46-15, on Saturday, September 24. Hosting the two matches at the Wisconsin Rugby Club Sports Complex in Cottage Grove, Wis., Wisconsin’s hard-fought victory against the Morrigans marks the third Midwest Division II league win of the season. The win retains Wisconsin’s first-place standing in the Midwest’s Western Division Central League. Wisconsin welcomed Oconomowoc in a second friendly match and saw great play from our new and less experienced players in a match of 10s. Oconomowoc is a younger team formed just two years ago. Following the matches, all three women’s teams joined the Wisconsin Rugby Club men in a social after the guys defeated the Chicago Westside Condors, 45-10. Wisconsin travels to St. Cloud, Minn., this Saturday, October 1 for the final league match of the season against the St. Cloud Sirens. 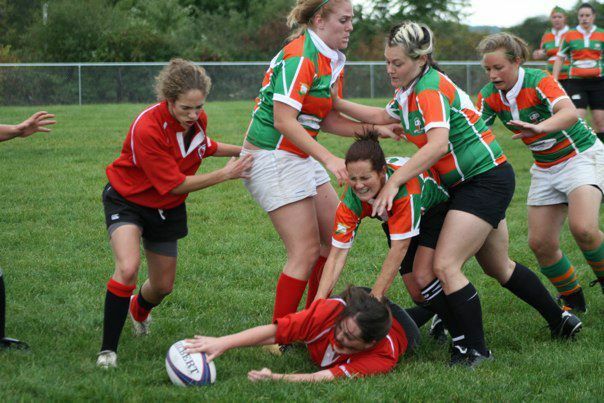 The Sirens are a new team in the league formed from alumni of the St. Cloud collegiate team. Wisconsin needs to win the match to guarantee home-field advantage for the first round of Midwest playoffs on Saturday, October 15. The top Central League team hosts the No. 2 team from the Northern League (likely the Palmer Women), while the top Northern League team hosts the No. 2 from the Central League. The Playoff winners then travel to Pittsburgh, Penn., on October 29 and 30 to meet the Eastern Division’s top two women’s team in the Midwest Championships. 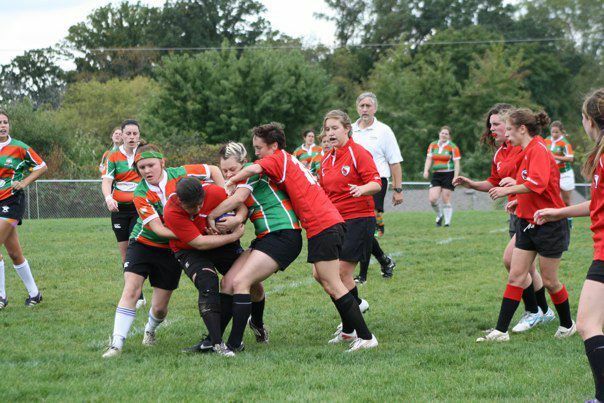 This is the final step towards advancing to the USA Rugby Division II Women’s National Championships November 12-13 in Virginia Beach, Va.
Wisconsin has also opted to cancel the schedule match against Chicago North on October 8 in Chicago. The team will rest in preparation for hopefully hosting the Midwest Playoff match. Big thanks to Wisconsin’s Emma Zoch for her excellent statistics! Heal up quick Emma! These photos were totally stolen from Liz Robinson. Thanks Liz! Click here for Midwest D-II Conference Results and Standings. Wisconsin Tries – Jane Sachs, Meg Dickoff, Meaghan White (2), Shoshana Griffith. Wisconsin's Jane Sachs retains ball in the maul. 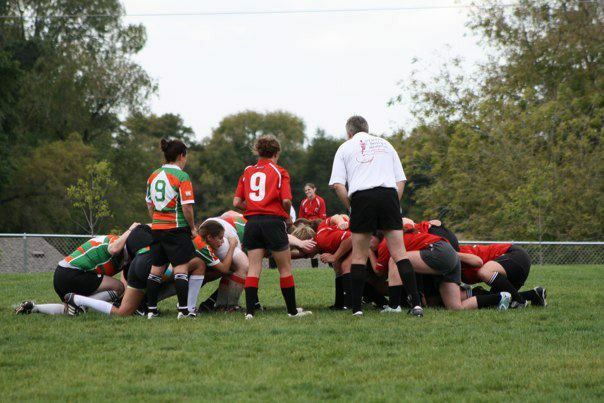 Wisconsin Scrum against County Will. 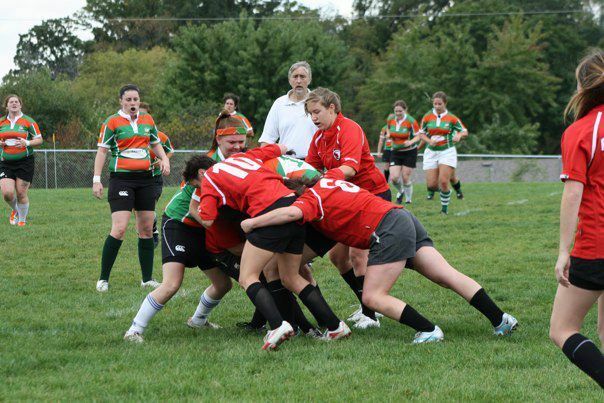 Wisconsin flanker Sarah Whaley (6) drives the maul. 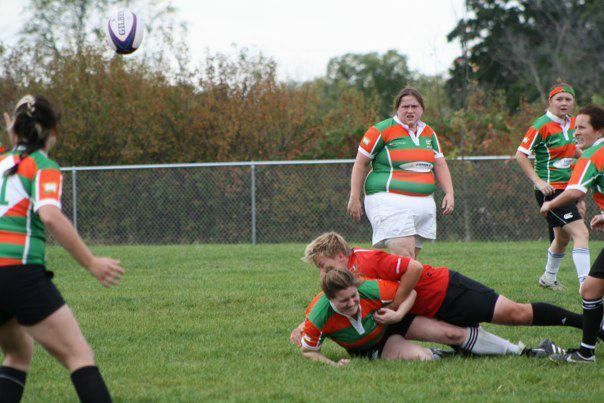 Wisconsin prop Elisa Becker running a hard crash ball. 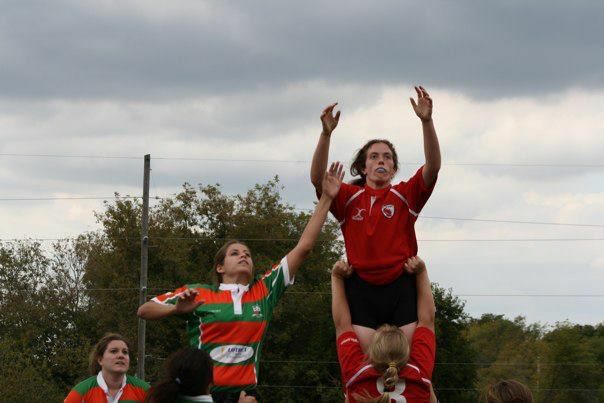 Wisconsin lock Jenny Pederson in the lineout. Wisconsin prop Amanda Evenstone lays down a big hit. Wisconsin waits in the ready for the halftime kickoff. The home team had a 24-7 lead entering the second half and never looked back. 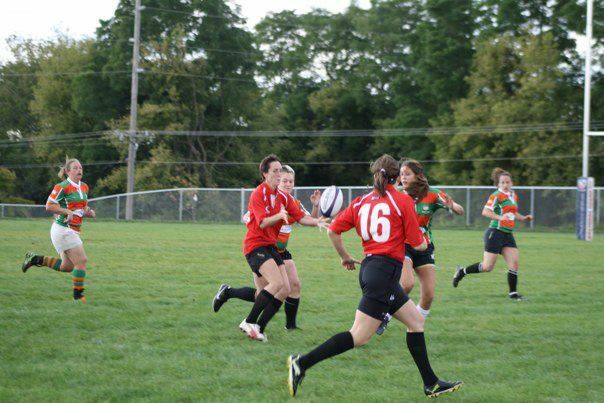 Wisconsin flanker Sarah Whaley draws four defenders (and a bit of a high tackle) on her attack run. 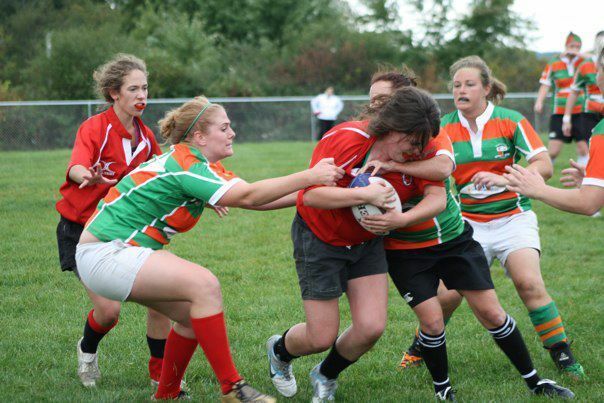 Wisconsin scrumhalf Rebecca "Reba" Stillman looks for the pick-and-go on the quick ruck set by Sarah. Rebecca taking the hard crash for Wisconsin. Wisconsin flyhalf Meaghan White passes the ball to wing Kelly Mullen racing down the sideline.